Sure, we'd all love to have a marble-covered kitchen, but the reality is that we don't all have the budget to afford such opulence. 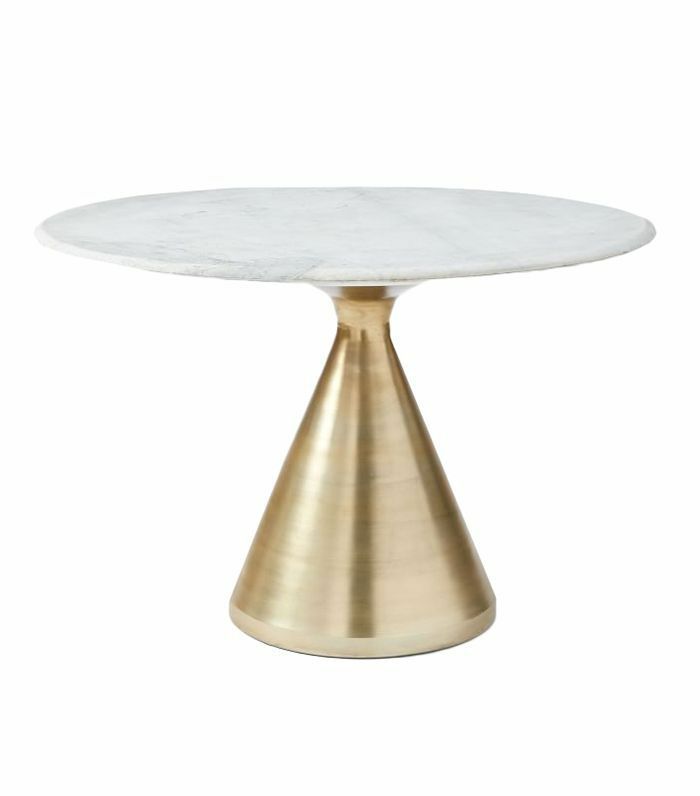 If you're looking to score luxe style on a subway-tile budget, these marble-topped dining tables starting at $350 are the next best thing to Carrara countertops. 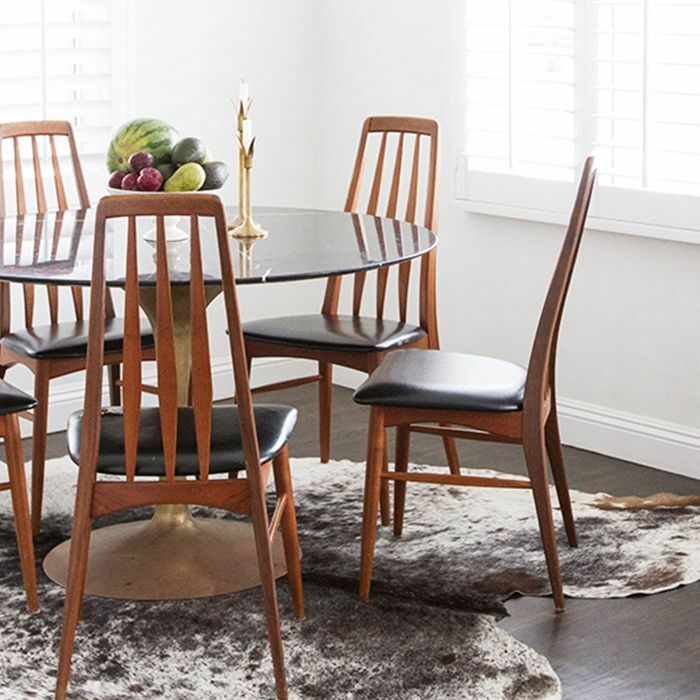 Ahead are dining room designs that prove great style doesn't necessarily come at a price. Spanning a modern nod to the French farmhouse table to a petite tulip café table, there's an option that'll fit nearly every budget (and every space too, no matter how small). Whether you prefer sparkling white stone or dramatic darker hues, we've found a swoon-worthy slab you're going to want to splurge on. 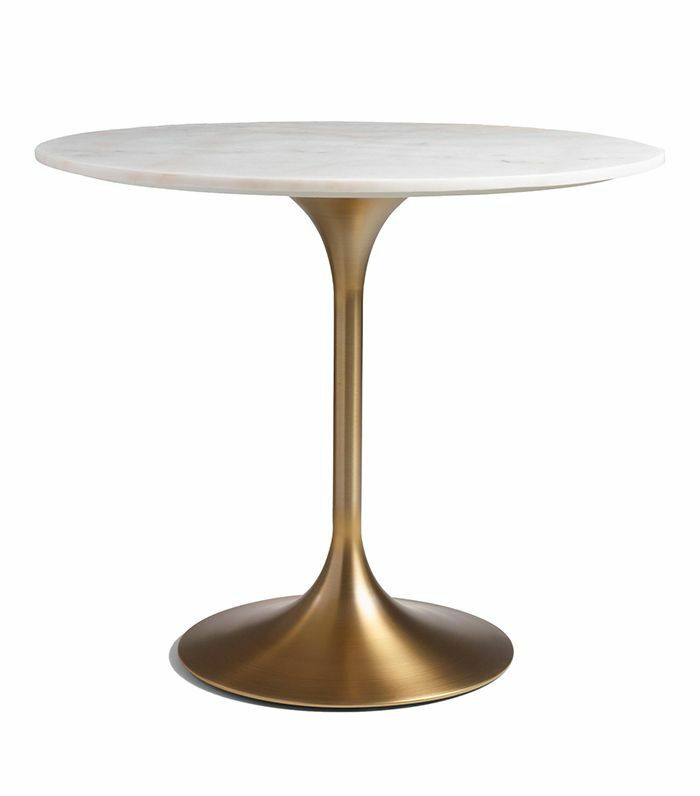 Below, shop 11 marble-topped dining tables that are almost too pretty to eat off of. Almost. 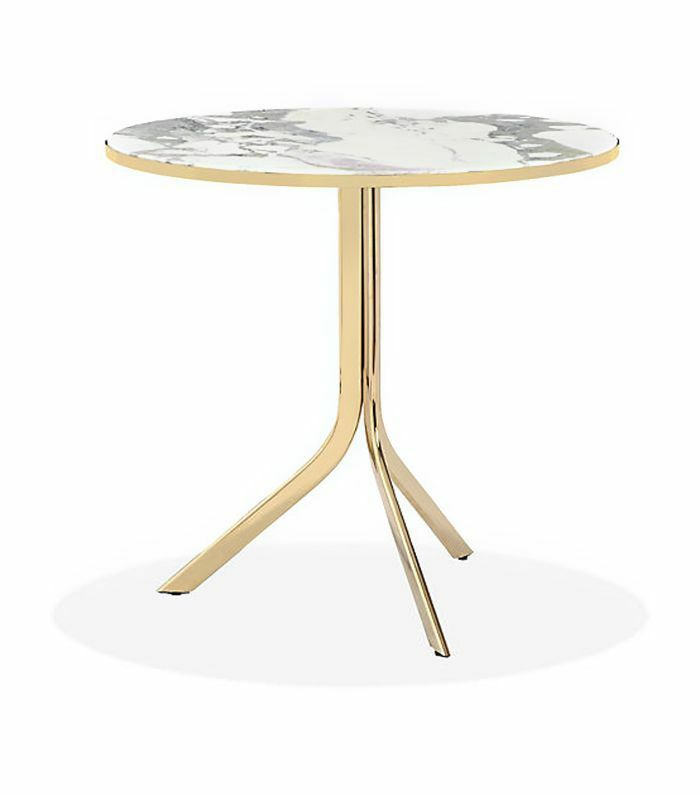 This statement-making table, featuring a slab of marble perched atop a dramatic bronze base, is ideal for accommodating two to four people in a smaller dining space. 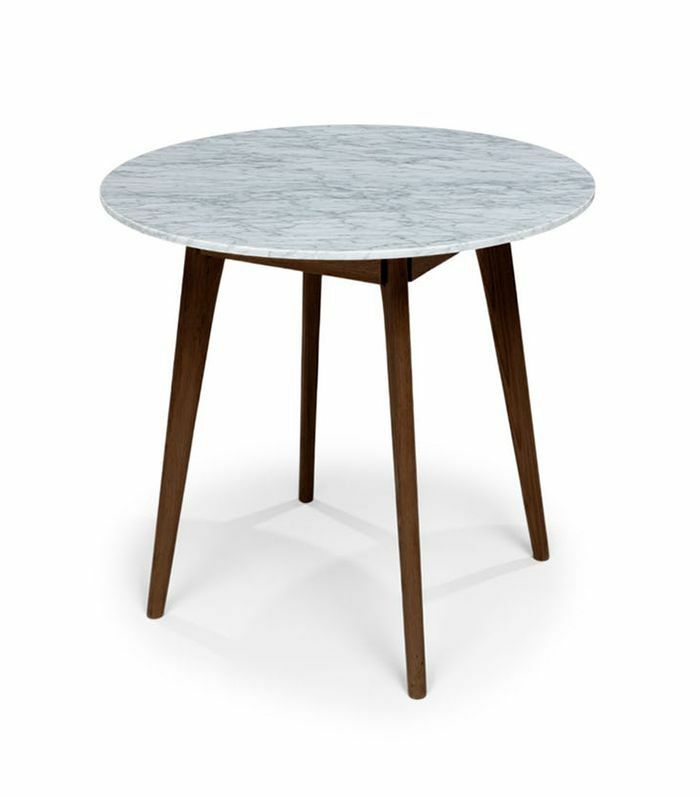 This midcentury-modern–inspired design, complete with a round marble slab and walnut legs, offers small-space dwellers high style at a surprisingly affordable price. 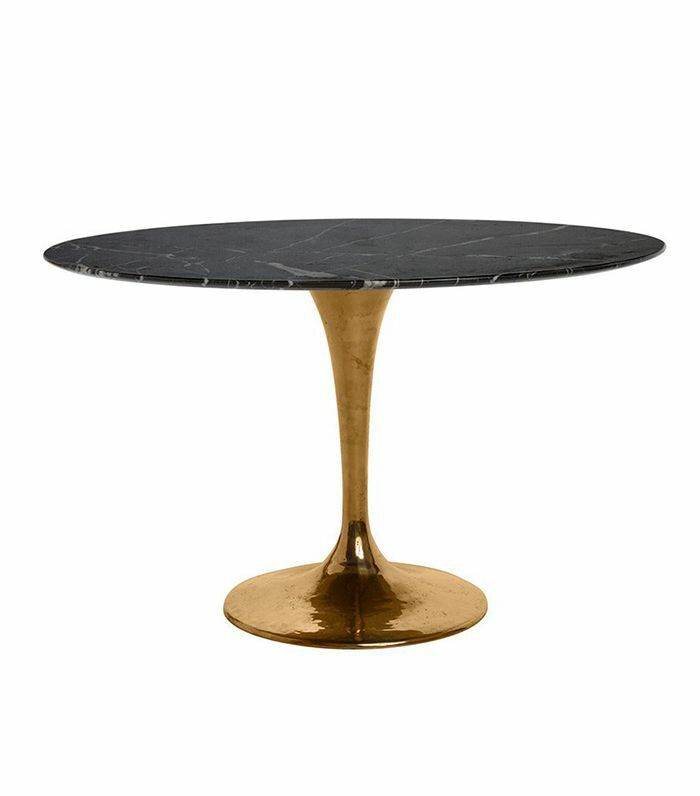 For a slightly more dramatic marble-topped dining table, opt for this splurge-worthy design featuring dark-hued stone. This high marble-top table can double as a kitchen island, making it a versatile option for budget-conscious decorators short on counter space. 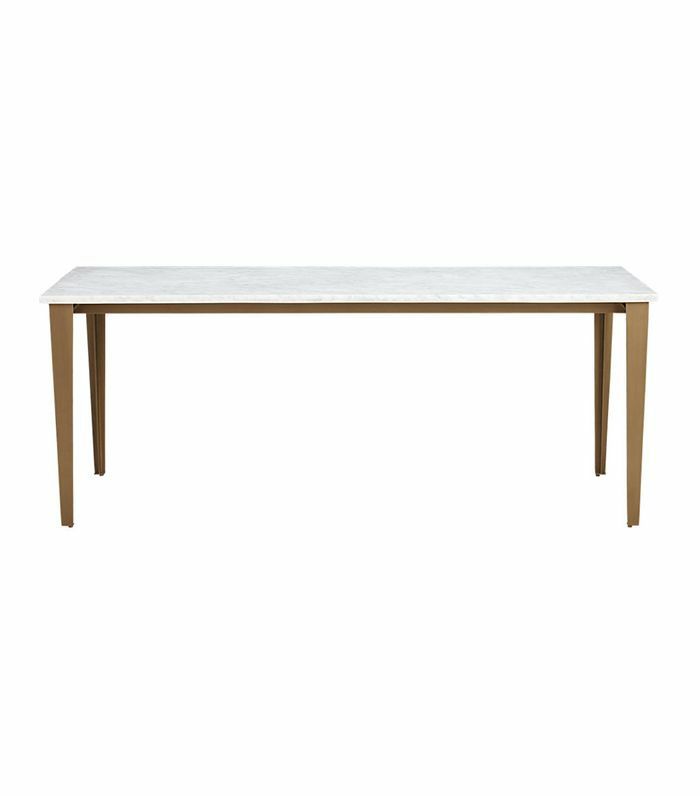 For a more affordable take on the tulip silhouette, this dining table is a steal at $550. 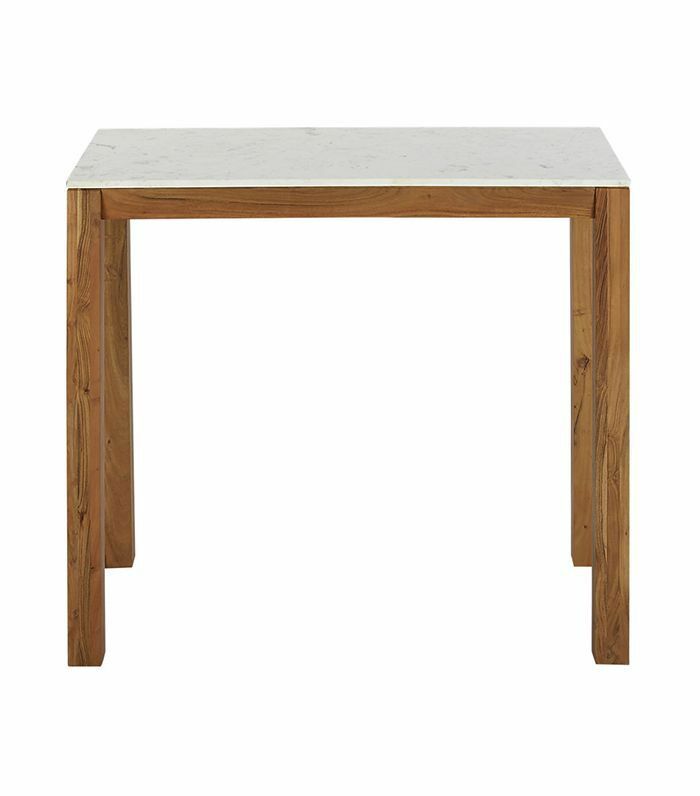 This Carrara marble–topped dining table, described as "a modern nod to the French kitchen" in the product details, comfortably seats up to eight. 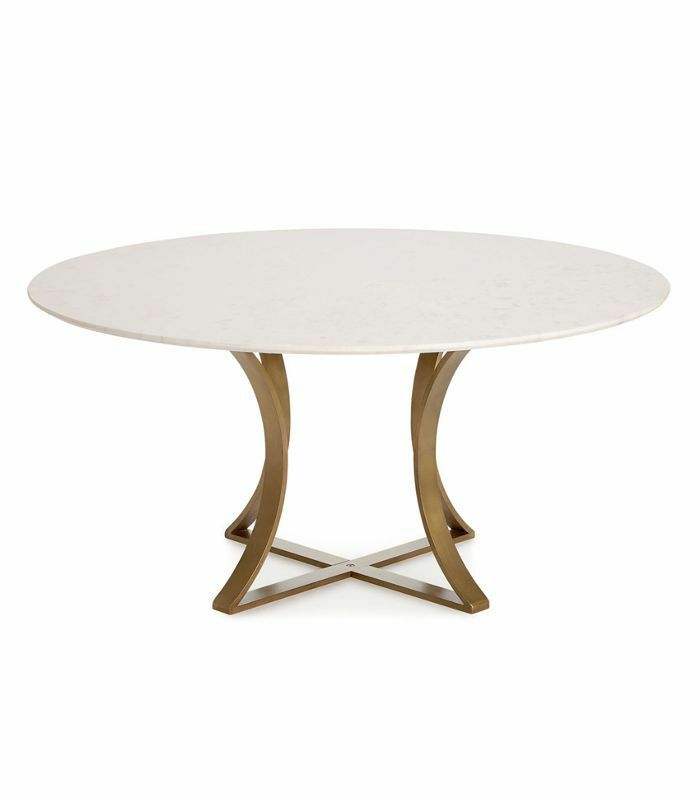 This bistro table is the ideal choice for a dining nook just large enough for a party of two. 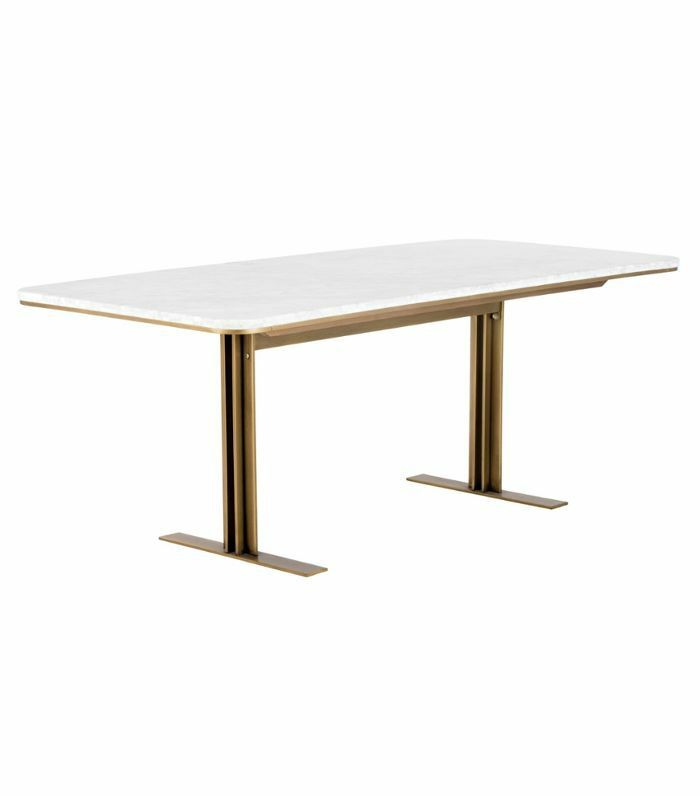 On the pricier end of the spectrum, this modern table seamlessly merges on-trend details with a timeless design. For the renter who loves to entertain, this oval-shaped table is slightly larger than a cafe table and comfortably seats up to six people. 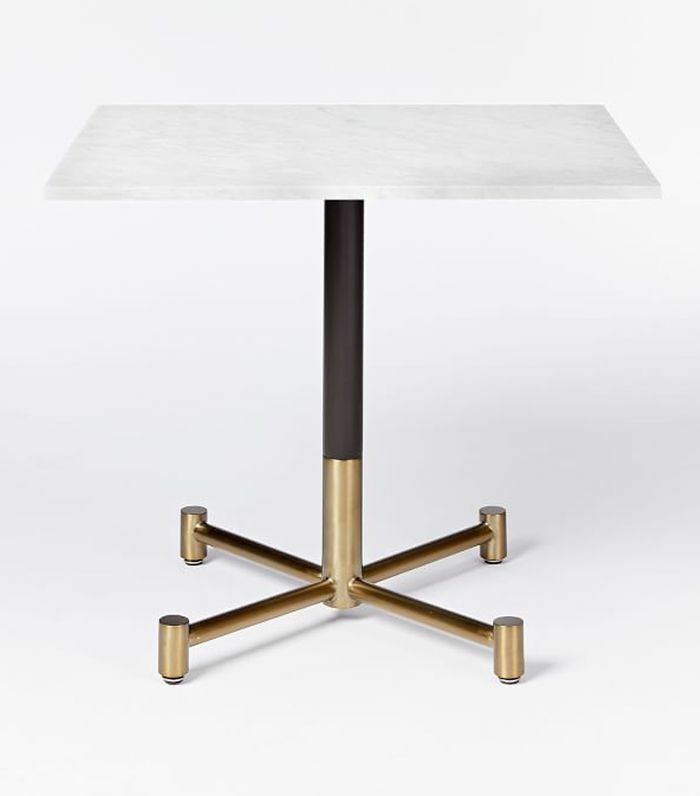 A brass-finished tripod base and a marble inset set this bistro table apart from the rest. 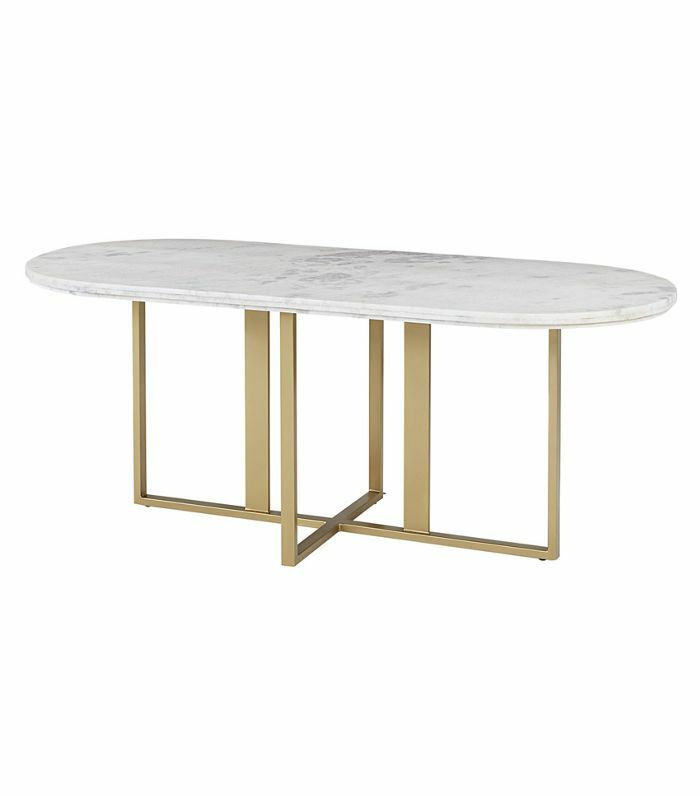 Bring art deco vibes to your space with this contemporary marble-topped dining table. Looking for more shoppable content? Sign up for our newsletter to get the best deals delivered straight to your inbox. This article was originally published on October 12, 2017, and has since been updated.